Looks fat and sassy! Thanks. He looks outstanding for 32. He looks fantastic, I love! He looks remarkable and as handsome as ever!!! He really does look amazing. Shigeki Yusa added 2 photos and 2 videos. Forty Niner(USA) is doing well today too. I liked comments and photos posted by his followers, too. New photos and videos on Shigeki Yusa's FB page. He looks great! Thanks for posting. Godolphin's Fine Needle(JPN) became the fifth horse in history to claim both JRA-G1 sprint races in the same year—the first since Lord Kanaloa(JPN) in 2013, as he won the Sprinters Stakes (G1) 1200m turf at Nakayama on Sep 30th 2018. It now looks like Forty Niner line dominates turf sprint division in Japan capturing five consecutive G1 races! 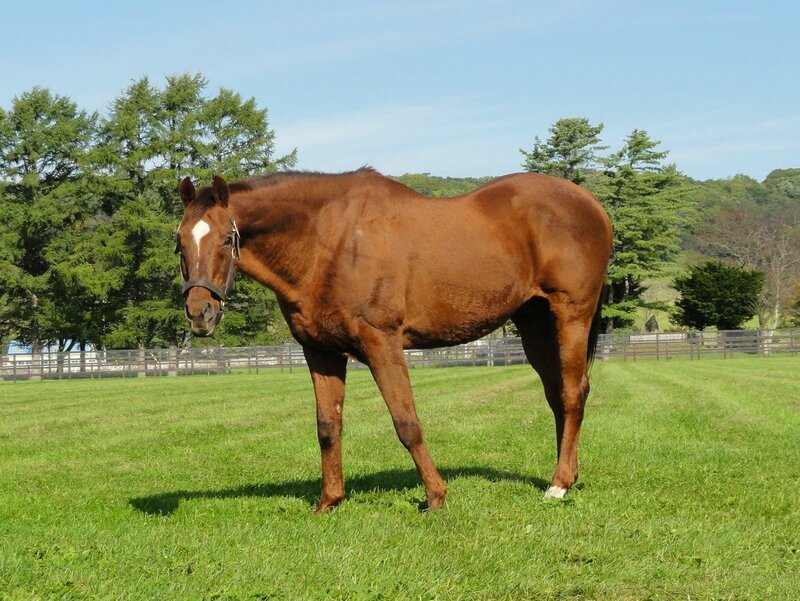 And I guess that Fine Needle will be a popular stallion when he enters stud. Admire Moon(JPN) has seen a significant increase in his numbers mares covered this year. Darley must be very happy with that.